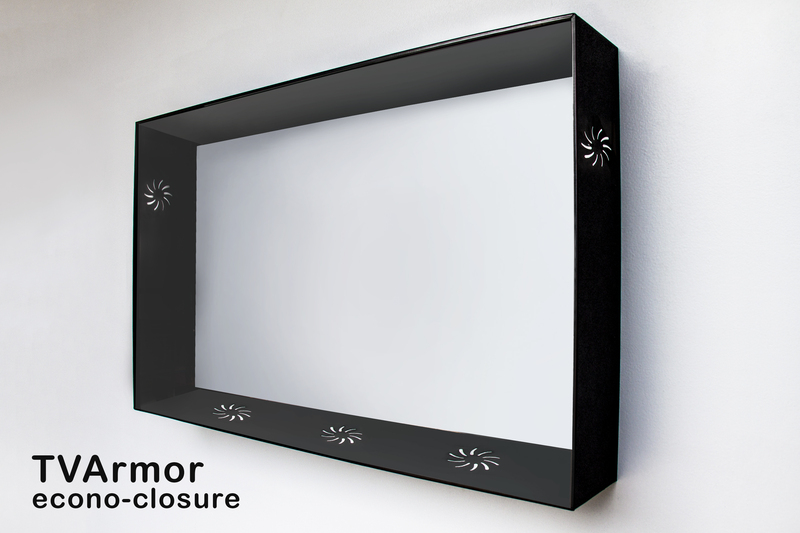 The Econo-Closure is a “no frills” Television Enclosure that provides a lower-cost solution to protect TV’s from access and damage. Our protective TV enclosure is constructed of strong ABS plastic with an even stronger polycarbonate front panel. It is a simple slip-case design. The frame is attached to the wall around the TV and the front case is slid over the frame and secured with screws. The Econo-Closure does not have cooling fans. Ventilation is provided through openings in the side panels of the wall mounted TV enclosure. Purchased this for my sons T.V.- So happy with the product- he’s no longer able to hit the screen and damage it or try pulling it off the wall! Easy installation and fits great. Highly recommend this to everyone!! Thank you! !